Visit Gloria's Corner of Wisdom !!! Glo is cooking up something new... visit her forum to see what's going on. Music I found on Youtube / Glo's Music request!! To request a song, drop her a a message by clicking the above link. Gloria will be happy to answer any questions about our clan or about our events and competitions. Since we have not been active lately. I think it is time to close up shop. It has been fun and we have all made some good friends and had loads of laughs. 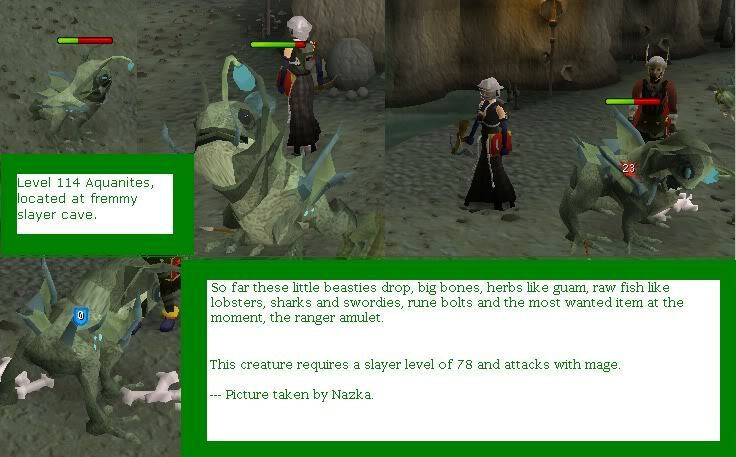 The very nature of runescape is the constant change. People play and stop to do other projects in real life. It is understandable. It is time now I feel to see the silence and the level activity for what it truly means. I will wait for another week starting today. You can all take or copy guides or whatever you like from the clan site. Next Thursday, I will shut down this clan site. Thank you all for sticking it out with me. Its been fun.